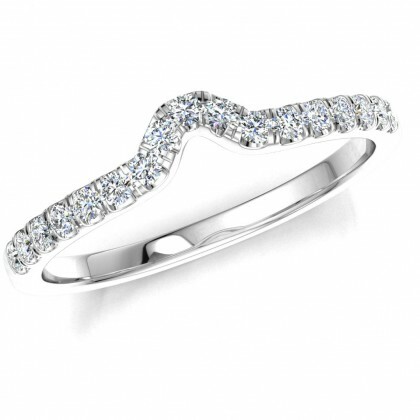 Wishbone eternity rings are specially designed to provide a complementary fit between your existing engagement ring and your eternity ring. With the inclusion of a small curve or angle in the structure of the band, our wishbone eternity rings will sit perfectly flush alongside your existing jewellery. From simple curves set with diamonds to more intricate waves and cut outs, this carefully curated collection ensures you find just what you’re looking for to make a beautiful match for your jewellery. If you’re searching for something a little more individual then get in touch with our design team who can create the ideal match for you. 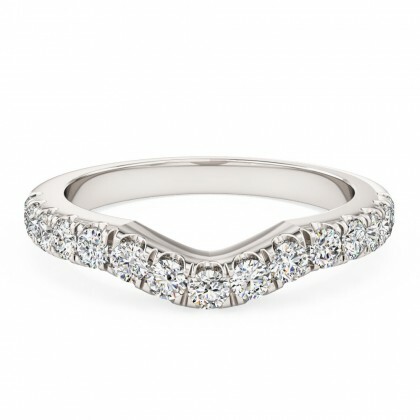 Wishbone eternity rings are specially designed to provide a complementary fit between your existing engagement ring and your eternity ring. With the inclusion of a small curve or angle in the structure of the band, our wishbone eternity rings will sit perfectly flush alongside your existing jewellery.